Just Innovate seeks to develop environments conducive to social innovation. Would you like to be a part of our team or take part in one of our programs? Join us! Check out our annual two-month experiential education program run by students for students. 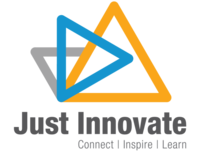 Just Innovate is a non-profit educational initiative whose mission is to inspire and facilitate the creation of social innovations within student communities and beyond.